This was an image that changed in the blink of an eye. When I got to Blea Tarn there was some lovely mist but lots of clouds. 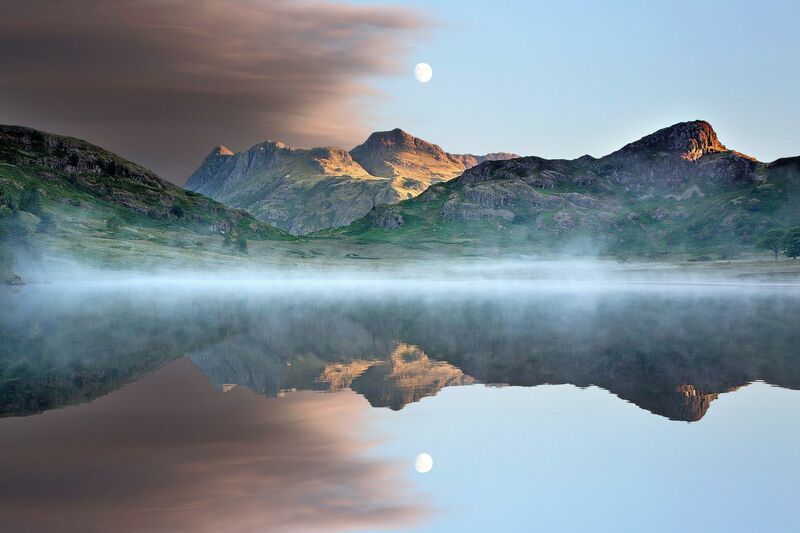 As soon as the clouds started to roll back they revealed a Moonrise over Blea Tarn and the Langdales which reflected perfectly in the tarn. Right place right time I guess.